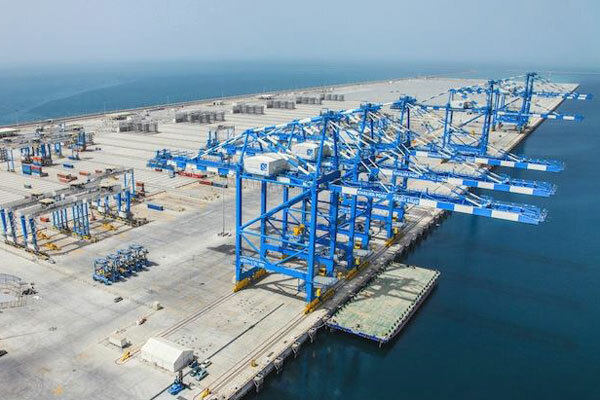 Abu Dhabi Customs has unveiled Mamar, a modernised online single-window platform to facilitate trade for Abu Dhabi across seaports at first, followed by land, air, and post. The platform has been launched in collaboration with Maqta Gateway, an Abu Dhabi Ports subsidiary. The announcement was made during Gitex Technology Week 2018, which is taking place at the Dubai World Trade Center, in Dubai, UAE. In a UAE first, Mamar utilises existing features from Abu Dhabi Customs’ e-services and the Maqta Port Community System (mPCS), creating a fully integrated system following international messaging standards that allow seamless handling of import, export, and transshipment transactions, as well as the payment of customs duties for all types of cargo, whether via land, air, or sea. The system is designed to increase transparency, reduce costs, and provide customers with speedy and efficient access to information regarding transactions, shipments, and logistics in real time. Abu Dhabi Customs’ technical teams have worked to operate MAMAR, to significantly modernize the system. This platform will offer over 14 additional digital services including pre-clearance, exit and entry certificates for transit shipments, customs declarations for sea, air, land, post and free zones, along other financial services relating to “Maqasa” clearing services, customers’ accounts, and statistics in addition to interactive data dashboards that track commercial transactions through a single window. “This innovative digital solution will combine the strengths of both government entities to be a powerful tool in fuelling trade at accelerating rates to benefit Abu Dhabi’s economy,” he added. The MAMAR system, which will start officially by the end of 2018, will target a new customer profile consisting of customs brokers and clearing agents who will now be able to access trade, customs, and logistics services for sea, land, air, and post through a single online window. “The new interface, designed locally in the UAE, will standardise information exchange for traders, increase security of transactions. We are committed to providing pioneering services to our customers and continuing to develop our services that facilitate trade in the emirate,” Al Dhaheri said. The MAMAR system works in line with the United Nations Single Window Implementation Framework, which is an evolutionary road-map to be used as a reference when operating single-window trade.